Pioneers in the industry, we offer csd complete soda drink plant, carbonated soft drink plant, automatic csd production line, automatic csd filling plant and csd filling bottling line from India. 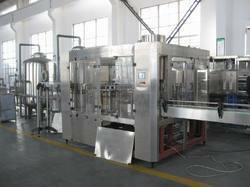 We have complete allegiance in offering modern day Carbonated Soft Drinks Plant. 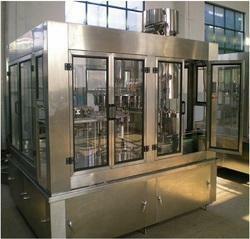 The bottling line is designed for efficient performance in filling, sealing and labeling glass bottles that are used for soft drinks. The filling system is widely accepted in the industry for its assured no spillage performance, further, the magnetic capping heads ensure reliable sealing of the bottles. Besides, our esteemed patrons can avail the plants from us at a leading price.